« Confidential Blogging: An Oxymoron? This entry was posted on February 22, 2010 at 10:37 AM	and is filed under Movie Review, Musings. You can follow any responses to this entry through the RSS 2.0 feed. You can leave a response, or trackback from your own site. Parents of neuroatypicals feel that their children will never be understood and worry that they are lonely and unhappy. Society never understands our children and expects them to be like everyone else. As you note, neurotypical children are nonaccepting of anyone not like themselves. Only the psychiatrist who treats neuroatypicals and their families can ever appreciate the agony that these families go through. Thank you for a thoughtful glog. Of course I meant “blog”, not “glog”. I think there is hope for change. I see the acceptance of neuroatypicals as a civil rights issue; acceptance of difference of all kinds. I am confused. You describe “neurotypicals” as a minority group, but as someone with aspergers, I am confused by this. The term neurotypical is used to describe someone who doesn’t have autism, and is an alternative term for “normal”. In what way does this make them a minority? Neurotypicals are “normals”. You are right. 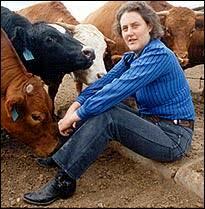 I was saying that Temple Grandin described most people as “neurotypicals. Ah, i think I was confused by a few statements. “I see the acceptance of neuroatypicals as a civil rights issue” (Since neurotipicals aren’t in need of acceptance and are the norm) and things like “Many of my patients are “neuroatypical”. I really like that word. It means that they have brains which are outside of the bell of the bell curve.” They aren’t outside the bell curve, they define it. And that was followed by a discussion of how they know the isolation of being different. Again, confusing since neurotypical = the norm, the standard, status quo. I apologize if I am misreading, but it looks very much, at multiple points, that the word was being used improperly. I apologize for my focusing on that and probably hammering it in, welcome to being an aspie, and our inability to just walk by and let it go. Yet another reason people tend to be put off by many of us, in cases like this the obsession comes of more as… rudeness. *sigh* I need to work on that. I appreciate your attention to detail-it stimulates discussion.